Cruising is one of the best ways to discover Europe on a larger scale. While some may prefer to do land travel, cruising provides a different way to experience Europe. For those who have been to Europe more than once, this is a novel experience. More than this, cruising provides access to most sites of importance and offers convenience and comfort at affordable prices. There are many cruise lines operating in the continent. In fact, you can take your pick from more than 50 cruise lines, ranging from the large lines to river cruise lines and barges. 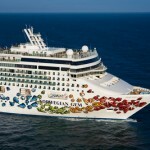 The Norwegian Cruise Line (NCL) is one of the most popular in the large cruise lines category. They have four ships serving Europe, all of which have been built later than the year 2000. NCL offers cruises departing from Barcelona (destinations are Italy and Spain) and departing from Venice (Greece and Italy). They also have a Mediterranean cruise departing from Barcelona, with ports of call in Spain, France, Malta, and Italy. For more itineraries, visit their web site. The Disney Cruise Line is arguably the best for families. Its European tours can provide the most magical experience for children and parents alike. With tours covering countries such as Ireland, England, France, Spain and Italy, vacationers will certainly never have a dull moment while on a cruise vacation in Europe. Royal Caribbean Cruise ships are also well known for their luxury and efficiency. Some of their cruise packages combine land tours, to bring guests the best of both worlds. Destinations include Italy, Spain, Russia, Norway, Greece, Turkey and France. These are only three of the best known European cruise lines, and going on a cruise to Europe in one of them will definitely give you a whole new perspective about traveling! Turkey Cruises – What is a Blue Cruise in Turkey? I completely agree. 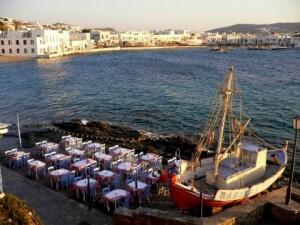 I traveled the Greek islands for the first time via cruise. It made the logistics so much easier and allowed us to see way more destinations (we tried to plan it ourselves originally, and it was a disaster!). There were less opportunities to eat local food, but they did serve Greek food from time to time since it was a Greek cruise line (Louis Cruises). It was great because I got to see a lot of territory and figure out which islands I liked the most, so now I know where I want to go back and spend more time.